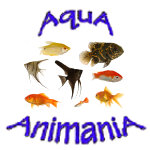 AquA AnimaniA is your #1 local source for nutritious and healthy foods for freshwater and saltwater aquarium fish, pond fish and pets! Choose from our huge and extensive selection of high quality pond and aquarium fish foods to ensure proper nutrition. We also carry a full line of aquariums, aquarium kits, ponds, pond kits and more! For exceptional daily nutrition, provide a varied diet of live, flake, freeze-dried and frozen fish foods for best health. We recommend that fish food contain only top quality ingredients with no preservatives or artificial colors, to ensure optimal quality and give pond fish, freshwater tropical fish and saltwater marine aquarium fish what they need to look and feel their best! AquA AnimaniA provides a wide variety of frozen fish food items, though less expensive than live foods, frozen foods are just as readily accepted by aquarium fish. This makes them valuable for feeding fussy or predatory fish. Frozen fish food is also less likely to carry pathogens than live fish food, and some manufacturers irradiate the food to make sure that it is completely safe. Because it is unprocessed, frozen fish food is nutritionally excellent and also tends to be high in fiber. No one fish food should be used exclusively, though, and it is a good idea to alternate between foods through the week. Frozen food-blends tailored for community fish, African cichlid fish, American cichlid fish, saltwater fish and so on sidestep this problem by including a carefully chosen mix of foods, sometimes with added green foods and vitamins. Live foods, live aquatic plants and live pond plants can be expensive and inconvenient if not readily available but in many cases, the benefits far outweigh the additional costs. The additional value of live foods is that they are nutritious and immediately recognized as prey, by freshwater inverts, saltwater inverts, amphibians, reptiles, tropical freshwater fish, saltwater marine fish and pond fish. Live foods are great for getting hard-to-feed species such as seahorses, pipefish, wrasse, gobies, grunts, and newly born sharks to begin feeding. Also a great way to populate micro-crustaceans in refugiums as well as an excellent food for non-photosynthetic (NPS) coral, filter-feeding inverts and larval marine fish. AquA AnimaniA has a wide variety of healthy live foods for your land and exotic pets. While some critters and fish will usually take feeder fish such as comets, guppies,and Rosey Reds, mealworms, crickets as well as other large insects. Fussy bottom feeders, such as spiny eels and mormyrids, will usually eat superworms and other insect larvae.